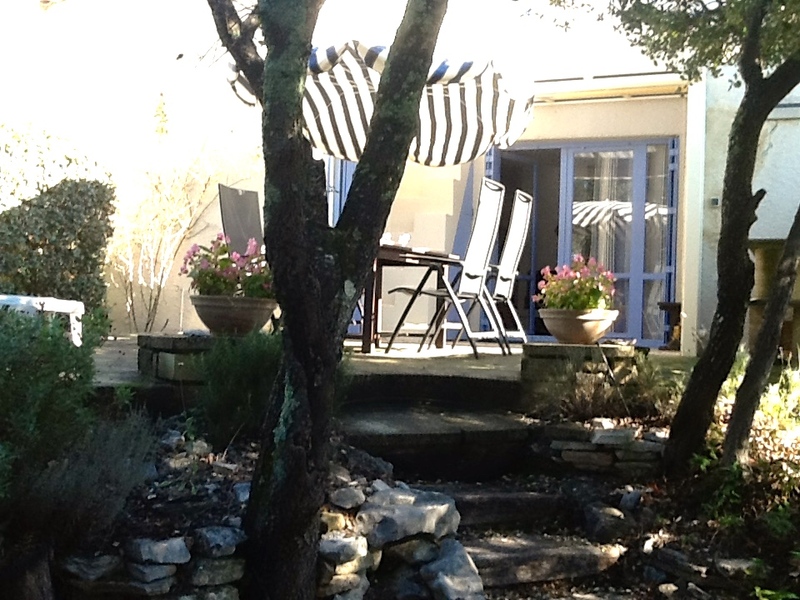 Our bastidon is located in the naturist resort ‘Les Hauts de Bélézy’ in Bédoin, the Vaucluse. With lots of care and pleasure we created an ideal holiday spot. It is fully equipped and above all it has a beautiful and spacious terrace. It has shade under the trees but also offers the possibility to do your cooking and grill outdoors. In the hot summer months the trees protect you from the burning sun, and the partly covered terrace offers protection against the Mistral and the very occasional rain shower. ‘Domaine de Bélézy‘ provides you with ample possibilities to take part in sports or cultural activities. In a pleasant, and good, restaurant you find a choice of dishes for your lunch and dinner. And before turning in after dinner you can take a dip in the adjoining swimming pool The admission to the park, ‘Parc des Loisirs’ is included in your rent. Have a look at our site and we hope it will convince you to make ‘Les Hauts de Bélézy’ bastidon 511 your next holiday destination.